Raised in a holistic family, Dr. B.J. Hardick is an organic food fanatic, green living aficionado, and has spent the majority of his life working in natural health care. In 2009, he wrote his first book, Maximized Living Nutrition Plans, which has now been used professionally in over 500 health clinics, alongside a follow-up publication to which he was a contributor, The Cancer Killers. Dr. Hardick serves on the advisory board for GreenMedInfo.com, the world’s most widely referenced natural health database. 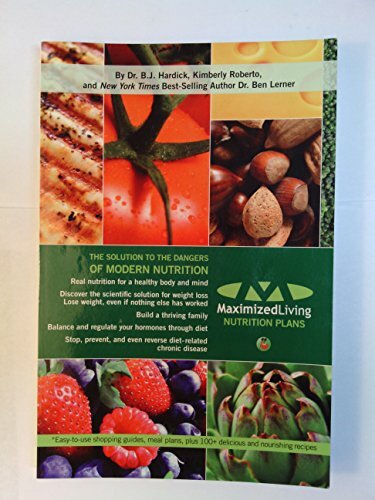 In addition to creating recipes and resources for DrHardick.com, his strategies for natural health are featured on FoodMatters.TV, the Huffington Post, and Wellness.com. An energizing and passionate speaker, Dr. Hardick shares his lifestyle methods to numerous professional and public audiences every year in the United States and Canada.